Behind almost every great video there is a lot of strategy and several questions that need to be asked. 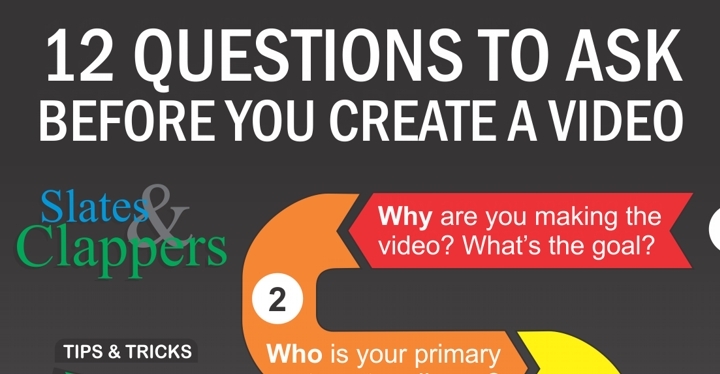 Here is a helpful Infographic to outline 12 Key Questions we ask when creating video for our clients along with some helpful tips, tricks, facts and figures. Please also consider reviewing our page about Video Strategy here. Copyright 2014 – Mastermind Studios. Released under Creative Commons License. Its great to work with people that can think outside the box. From their innovative processes to the use of their UAVs makes them top drawer! I don't know of any other video production company in our province, let alone our region, that's providing the footage that Mastermind Studios is able to provide. I never would have thought of some of the things that come out of their studio. They've become people that I know and trust.